Watch what you eat closely and avoid mucus producing foods. The publication being offered has a complete explanation on which specific foods to avoid and which ones have healing properties. The rest of this page offers some tips on relief of sinus pressure symptoms and on other sinus issues. Whenever the sinus cavity membranes are irritated--by air pollutants, viruses, etc.,--they swell and block the cavity membranes, thus blocking the flow of air and mucus. The latter accumulates and eventually pressure builds up in that cavity this, obviously,.creates what is called "sinus pressure." If not allowed to drain fairly soon the mucus stagnates and a sinus infection could be just "around the corner." Thus understanding the sinus cavity and mucus flow can be very helpful in managing sinus presure. 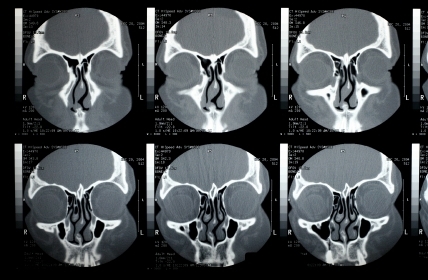 The sinus cavities are hollow places in the skull which must constantly have air and mucus moving freely from them. They are lined with a membrane whose function is to produce mucus--about one to two pints a day. Mucus is a watery substance packed with an array of chemical elements--mucins, s alts, germ fighting enzymes, water, etc--which protect the respiratory (breathing) system from undesirable invaders--harmful bacteria, viruses, dust particles, germs--; and provides moisture to the incoming air when it is too dry. If air and mucus stagnate--do not flow--the sinuses can become a breeding ground for harmful bacteria and viruses. On the other hand too much of any good thing, mucus here, could send a person scrambling for excessive mucus relief. Thus, the amount of mucus deemed to be healthy is what a person deems it to be, no more no less. As already mentioned air pollutants such as: dust, bacteria, viruses, etc., can irritate the sinus membranes and cause mucus to flow in large amounts to wash off those intruders. It is the body's way of protecting itself. Rhinitis as well as allergies can contribute also to excessive nasal mucus secretion, and so thus a sinus infection. Having this information helps to better know how to handle sinus pressure and mucus relief. One item which should be understood is that there is a difference between an occasional bout with mucus and a chronic condition. Mucus relief, for example, for an occasional episode can usually be handled with an antihistamine when the cause seems to be an allergic reaction to some environmental element, e.g., pollen from a blooming tree. On the other hand for a mucus condition that has been going on for 2-3 months, non-stop, mucus relief should be traced to the specific its cause to deal with it. For example, some chronic mucus issues can be caused by some food, e.g., cow's milk. In those cases mucus relief would be obtained by dispensing with the milk for a time. The protein and calcium provided by the latter can easily be replaced by other foods and/ or dietary supplements. In dealing with sinus pressure and its relief common sense and a bit of imagination are paramount. Getting all the information you can and comparing it; together with a good portion of common sense is always good. That is the way I solved my sinus problems--which if briefly explained in my short biography. Thus a person can use his or her own strategy, based on the information offered here, to come up with a simple, personal plan for obtaining the desired pressure relief. I have found it wise not to rely heavily on OTC (over-the-counter) medications. I use them sparingly for occasional bouts of short duration with sinus pressure and excess mucus. A natural and permanent solution is the best approach for dealing with chronic pressure and mucus issues. Having sinus drainage or sinus pressure? Frequently mucus is produced in the sinuses and other organs of the respiratory system as an allergic reaction to the environment. Most people, however, don't realize that some foods can also heavily stimulate mucus production; while others can be mucus friendly. As exceessive mucus is produced the chances of sinus pressure and other related sinus disorders are increased. Thus you need to know to what extent your sinus issues and the food factor relate to each other in your particular case; so you can make wise food choices. You can make some common sense tests by eating certain foods and see their reaction on your sinuses and other respiratory organs. Although there has been some debate as to whether some foods can cause mucus, we have no question about it: Certain foods can produce or help produce sinus mucus, sinus pressure, drainage, It pays to learn what they are, the sooner the better, and you will then be able to determine to what extent they could be affecting your mucus production and any other sinus issue, such as: Sinus pressure, sinusitis, drainage, etc., 3 Steps to Quick Sinus and Mucus Relief, discuses this item in detail and offers specific recommendations. Wrongs foods can also cause sinus pressure and exacerbate allergic reactions. No matter how hard you try otherwise, unless you address the matter of food as a potential cause of excessive mucus--often as sinus drainage--other steps alone may not suffice to bring you the permanent relief you may be seeking and deserve. We have in nature, in the vegetable kingdom, all the food elements we need for a correct, balance diet and one that can be sinus friendly. In other words, researchers and nutritinists are finding that a plant based diet can be better, all around, than one that includes animal products in it. Before embarking on a plant based diet one ought to study how to do it, and how to avoid some pitfall encountered by some who have gone ahead with it without the proper information. The best cure is prevention and getting all the information on sinus one can always helps; and, of course, if a person were to abstain altogether from mucus producing foods, it would be the best first mucus healing step one could take. Although the medical profession has not yet warmed up to the proven relationship between sinus issues and food--for over 30 years I went to allergy doctors for my sinus and allergy issues and I don't remember a single time being told that some patient's sinuses are affected by some of the foods they may be eating. Despite this apparent neglect, empirically at least, the evidence is there. Just recently I received another unsolicited email from a man that for 3 years went to doctors, had alll kinds of tests made and medications given, without satisfactory results. Two weeks after he discontinued eating certain foods he said: "I am now 50-75% better. Thanks again." Another item which merits being mentioned here is the importance of drinking water--at least 4-6 glasses a day. It thins the mucus so it can flow better--thus helping to prevent sinus pressure--and not stagnate, It flushes body's impurities out. It aids the immune system and it helps get rid of excess stomach acid and constipation. it has been called "nature's antibiotic"
Consider this: The sinus membranes are producing mucus continuously--the normal, healthy kind of mucus. It is produced to help the organs of the respiratory apparatus to carry on their functions. But when it becomes excessive, it can be a sign of a disorder. The excessive mucus can irritate the sinus cavity and nasal cavity and cause infection in those organs' membranes. Some environmental elements such as: pollen, house dust, smog, smoke, etc can be addressed by the immune systems as invaders and stimulate the production of histamine--a clear, watery mucus like substance that is intended to wash off those invaders. It is recognized by many that some foods can stimulate mucus production and make worse--or cause--excessive mucus production and even sinus pressure. One common sense approach to this problem is to test foods. Just eat certain foods suspected and evaluate the potential reactions on your sinus and other respiratory organs. There is some debate as to whether foods can cause mucus problems. But reality cannot be denied. Some foods do affect some people's sinuses by stimulating mucus production and potentially sinus pressure. I have no question about it, since I have empirically proved it. I believe that some foods can produce sinus mucus, pressure, drainage, etc. Therefore it is important to learn what are the foods which could be, at least partly, responsible for sinus issues. Find out to what extent they could be affecting your excessive mucus production and be at least partially responsible for those problems already mentioned. 3 Steps to Quick Sinus and Mucus Freedom , discuses this item in detail and offers specific suggestions. It pays to know well this subject, since food choice could potentially be both a very significant aspect of both cause and healing for your sinus issues. And yet it could be presently ignored. I would go as far as saying that unless the food factor is directly addressed other therapeutic steps alone may not be sufficient to bring the healing sought. "The best cure is prevention", and if a person were to abstain, as much as possible, from potential mucus producing foods that could be very beneficial. Again a full in depth discussion on food and sinus is in the publication being offered. deemed to be a "miracle herb"
Pressure in the sinus cavities can be the proximate cause of a sinus infection which can give rise to post nasal drip. By combating the sinus infection the latter can soon disappear. If allowed to continued unchecked, post nasal drip or excessive drainage, by irritating the membranes of the upper respiratory tract, could bring about a secondary infection. Thus sinus pressure relief should be promptly addressed before it sets in motion other upper respiratory tract infection which can include sinus drainage and potentially contribute to other sinus cavity diseases. The number one item to consider for permanent mucus relief is food. Most people are not aware of the significance of food in relieving mucus issues. In fact, empirical research has found a definite correlation between what we eat and the state of the sinuses. No everyone reacts the same to food, medications, the environment. Thus we must be careful not to generalize. A mucus relief procedure may work for one person and yet do nothing for another. The same applies to food. Yet empirical research and observations has shown that certain foods are mucus producing for a large segment of people. One of those, already mentioned, is cow's milk, another is sugar. A person having an abundant production of mucus should abstain from eating those foods, at least while the bout lasts. Should the condition persist or significantly worsen I would go see my doctor. Again, nothing can take the place of sound common sense. For lasting results its better togo to the cause of the affliction rather than just keep relieving symptoms. How is sinus pressure produced? Mucus is vital to keeping the entire body functioning smoothly. 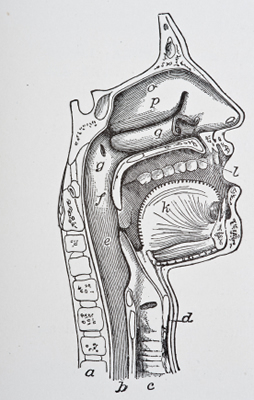 As with other bodily secretions, mucus, which is produced by the sinus cavities membranes, can have lubricating and protective functions, and it serves as part of the body's defense mechanism against unwanted intruders, like dust particles, irritants, viruses, germs, etc.When it is colored or excessive it can be an indicator that something needs attention. For example, a sinus infection. Although secreted by the body all the time, we don't often notice it until it becomes thick. When mucus becomes thick and it cannot flow freely it can accumulate and sinus pressure can begin to build up. Phlegm, on the other hand, is a special type of mucus linked to our immune system mechanism, and is mostly produced in the lungs and it helps in expelling bacteria and viruses from the body. Without mucus our lives would be miserable. Unknown to many the amount of mucus we normally produce every day can reach a quart. Knowing the meaning of the color of mucus can be helpful in combating a sinus disorder early on. Sometimes yellow mucus is associated with sinus pressure which has developed into sinusitis. The sinus membranes swell and obstruct their openings connecting to the passages. Mucus accumulates, air can't flow and infection can follow. Therefore sinus pressure relief should be a priority, to avoid mucus stagnation. Dark yellow mucus or phlegm can often be an indication that an infection has already began to take place. Green mucus is sometimes connected with sinus pressure and can begin with an allergic reaction to the environment. The nasal and sinus membranes become irritated and sometimes inflamed. A virus can also irritate those membranes with a sinus infection following. The most common and sometimes annoying type. It can become irritated by allergic reactions to the environment. Blowing the nose hard can make the membrane in the nasal cavity swell making breathing more difficult and can slow down the flow of mucus. This in turn can reflect in the sinus membranes if an infection begins to form. The nasal cavity can also get irritated by viruses and bacteria. Keeping the nasal and sinus cavities clear the proper way can prevent some disorders in the breathing apparatus. The use of an irrigations system can be a way of keeping the cavity clear by washing off contaminants and dry mucus particles and debris. It is a persistent irritation and inflammation of the nasal cavity which is also referred to as "runny nose". Remaining unchecked it can contribute to sinus infection and lead to sinus pressure. But it goes beyond the production of excessive amounts of mucus. It has been shown that it can contribute to ear and sleep disorders and also affect brain activity. What is one of the most common causes of rhinitis? Irritation caused by seasonal pollens of certain plants--accompanied by a high production of histamine. This can lead to nasal and sinus congestion and sinus pressure. An allergy specialist can determine which specific allergen(s) may be causing the problem. Desensitizing therapy can then be administered to lessen the symptoms of allergic rhinitis, if desired. It should be recognized that rhinitis, although not ordinarily a serious condition, it can be the cause of a nasal or sinus infection--if the irritation of the cavities membranes produced by viruses or other contaminants is left unattended. One of the main causes of sinus pressure and nasal mucus is allergic reaction to the environment--pollens and house dust being two of the most common specific causes, as already seen. Excessive sinus drainage can also accompany an allergic reaction. And the home environment can also be the cause of allergies. For example, animal dander, house dust, dust mites droppings, cleaning and washing chemicals. Performing the simple test of taking a good sniff close to the suspected item and seeing what happens can be revealing. It can give us a good clue as to how sensitive, allergy wise, we may be to a particular item. Allergies and hay fever are often exacerbated by certain foods we eat, and we should be aware of this. Sinus pressure is formed when the excessive mucus produced by the allergic reaction begins to accumulate, thickens and stops to flow freely. If not corrected soon this leads to stagnation and infection. The simplest approach to dealing with allergies and hay fever, in relation to sinus pressure, is to stay away from the source of the allergenic that causes the allergic reaction already described; but this is often difficult. Thus one has to figure out other strategies to deal with this problem. Maintaining the nasal and sinus passages clear at all times and bringing sinus pressure relief as soon as it starts can minimize the potential for complications, such as sinus infection. Sinus pressure has built up. A clear, watery mucus appears followed by light and then dark yellow when the infection has set in. The mucus sometimes turns green mucus toward the end of the infection. Should this condition persist for several days those membranes will become very susceptible to viruses and bacteria entering the respiratory system. It is, therefore, a must to address an allergic attack right away and bring sinus pressure relief soon, before the pressure builds up and an infection sets in. Nip sinus pressure and a possible infection in the bud. Often mucus relief is a matter of eating non-mucus producing foods. Yet yellow mucus in the nose is often an indication of a sinus infection in progress. It is best not to blow the nose very hard since this would make the nose cavity membrane to swell. Gently blow you nose without trying to get all the mucus out. The yellow mucus is the body's way to help get rid of the infection. The color could turn green towards the end of the infection. There is no need to be alarmed about the yellow color, unless pink or blood appears. If the latter persists, then you should go see your physician. Mucus relief can come as a by-product of life style changes. Sinus Pressure Relief -- Alternatives. For long term benefits I take proven herbals regularly to prevent rather than have to cure. If sinus pressure begins to raise its ugly head I double or triple my herbal intake for at least 3 days and add other potent herbals. It is extremely important that you start the latter immediately, after the first indication that pressure is building up; since at that point non-drug relief is possible for sinus pressure. While a viral infection lasts 1 to 2 days, a bacterial sinus infection already developed can stay on for a long time. Phlegm, whether yellow or green, is a sign that the immune system is overloaded because of a bad sinus infection. Whenever a fully developed infection is already in place a doctor should be seen. I would consider saline solutions. They can be beneficial for the sinus problems sufferers. If I would want to prepare my own solution, the right kind of salt and soda as well as the right proportions should be used. On the other hand, there are a large number of OTC irrigation products on the market. I avoid those containing steroids. Unless the the doctor finds them absolutely necessary I would not recommend them, because of their side effects. Steam inhalation procedure--both warm and cool--can bring quick sinus pressure relief. Proper know-how is very important. Special care should be exercised not to harm the cilia in the nasal and sinus membranes by steam that is above a certain temperature--otherwise the cilia could be paralyzed and mucus would not be moved by the latter to relieve the sinus pressure. I have noted that inhalations can relieve sinus pressure quickly in the sinus cavities and loosen phlegm, mucus. I put a few drops of eucalyptus oil in the water and it will help to open and relieve sinus passages and sinus pressure and also act as a disinfectant. This can help keep sinus infections and phlegm out. Frankly, food and drink, I discovered, can have significant impact on the sinuses, sinus pressure, bad breath, and drainage. For example, I discovered that, let's call it "G"--a common food--has tremendous infection fighting properties. While foods "S" and "D" can produce mucus. After some empirical--by practical observation--experimentation, I became convinced of the very critical role food plays on sinus pressure, drainage and other sinus issues . Sinus sufferers whom I have met on the internet and have tried my healing approach have told me basically the same thing. My personal observation is that many sinus problems can be greatly reduced by keeping the sinuses cavities clear at all times, without using OTC remedies--which in some cases can damage the sinus membranes, etc., in the long run. The best way to keep the sinuses clear for myself is by using acupressure. This is explained and illustrated in detail in Three Steps to Sinus and Mucus Relief . If I yearn for permanent sinus pressure relief the contents of this publication has helped me achieve this goal. I have done fasting and it is an excellent way to cleanse and detoxify the body and give it a much needed rest. This helps the body to concentrate its energy on the immune system to better fight for me against threatening infections. Sinus pressure relief can be helped when the body's own defense mechanisms are enhanced as by fasting. It is also an excellent way to remove old mucus from your system. If I was not sure as to whether I should fast because of some other health issue, I would consult my doctor. The mains causes are viruses, heavy drainage, congestion "colds," allergies, infected mucus, congestion when allowed remain and stagnate, smog, very dry air and unknown to many certain foods. Almost anything that would irritate constantly the sinuses membranes regularly. Unknown also to many as serious cause of sinus issues is house dust. It can be a powerful allergenic and can cause sinus disorders including sinus drainage. As already presented at the beginning of this web page, there are two basic approaches to relieving sinus problems. My personal experience, and that of others who have tried it, is that the best approach is in using a combination of healing systems at the same time rather than just one, as most people do. The "catch," however, is knowing how to balance them to achieve optimum results. Frankly, this is where Three Steps to Quick Sinus and Mucus Relief can be helpful. If you haven't done so yet you may want to take a look at the brief description of this publication. It will help to avoid such sinus issues as sinus pressure, excessive mucus, etc., please, click. to give immune system better chance to fight diseases, etc. Sinus disorders such as heavy sinus drainage, persistent sinus pressure, should be promptly addressed to avoid complications. If there is a health issue which can be reasonably be prevented in most cases, that would be sinus problems. understand that some people are allergic to some foods--could you be one of them? if it is a bacterial infection, whether primary or secondary, and it does not show sign of improvement in 3 or 4 days I go see the doctor for an antibiotic, otherwise it may drag on and on. By now the close correlation between sinus and food has become clear. There is another item that deserves our attention: The importance of the free flow of nerve energy to all organs of our body this, of course, would include our respiratory organs. Such things as allergic reactions, chronic sinus pressure, sinus drainage, congestion that does not go away, etc., can be helped by eating the right foods, and ensuring that the flow of nerve energy from the brain to the rest of the body is free and not restricted. A misaligned vertebra--which exerts pressure on the spinal cord--can bring about this undesirable restriction. When this happens many different unwanted health issues can emerge without apparent cause. baffling physicians and other medical professionals. This concept, which is generally unknown, and its importance and remedy is discussed in Thee Steps to Quick Sinus and Mucus Freedom, click, for more information. Sinus issues are preventable in most cases and following conscientiously the above basic protocol could make a big difference. This article really helped me, thank you so much! A.U. Your advise has been quite helpful, less pain M. C.
3 Steps to Quick Sinus & Mucus Freedom is working well K. M., L. A. My sinuses are much better. Glad I followed 3 Steps. Tks. E. W., Memp. Disclaimer: I am not a physician nor a licensed health care practitioner. The statements made in this web site or in the publication: Three Steps to Quick Sinus and Mucus Relief, have not been evaluated by the Food and Drug Administration. They are intended to describe what I did or would personally do only, and not intended to diagnose, treat or cure or prevent any disease or condition for others. The reader should continue to regularly consult a physician with regard to his or her health. Especially with respect to any matters or symptoms that may require diagnosis or medical care. Copyright © 2008, 2010 by Ezoic Inc.